There’s been a lot of buzz around artificial intelligence in recent years and surely that’s not going to change any time soon. As technology evolves, we’re reaching new heights of artificial intelligence systems capable of more human customer interactions. We’ve only explored the beginnings of what how artificial intelligence can be used in marketing. So far, one of the most promising applications is customer service. Are customers prepared to solve their problems by talking to a machine? Let's see what the data says and how we can incorporate this tool into our strategy. What do customers think about artificial intelligence? 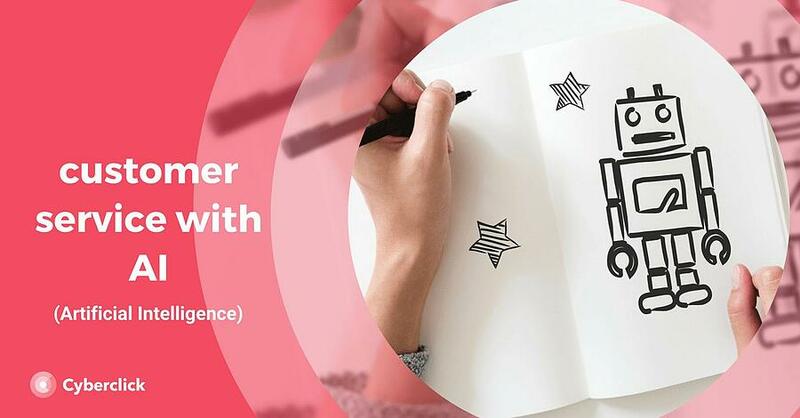 According to a study on artificial intelligence recently conducted by Capgemini on 10,000 users from 10 different countries, 73% of them are aware of having interacted with this technology in customer service. The list of AI-based services includes the use of chatbots, facial recognition systems to identify the consumer or conversations with a Siri-type voice assistant. According to this study, the majority of users (69%) are satisfied with the interactions they have with artificial intelligence. Despite this, 55% would prefer to have interacted with a mixture of AI and human interlocutors. 63%: greater control of interactions. 45%: faster resolution of customer service problems. 35%: less effort on the part of the consumer. 30%: better privacy and security of personal data. In terms of what users look for in their interactions with artificial intelligence, one key point that many customers still look for and value is the human feel. 64% say they want AI to be more human and 62% say they like systems with human voices. In addition, 57% like that this technology has the ability to understand human emotions and respond to them. Chatbots are one of the most popular and accessible applications for beginners in the world of customer service artificial intelligence solutions. These programs are able to maintain a conversation, answering customer service queries and making relevant suggestions. For a few years, Facebook has incorporated chatbots into the Messenger tool, so that companies can use them to interact with their customers. In addition to responding to users' doubts, the chatbot can also be proactively programmed to carry out different functions, such as ordering a bouquet of flowers or receiving the latest news from a brand filtered by the user's interests. In case the chatbot can not respond to a specific need, it will notify a human agent to solve it. More efficient customer service. Thanks to the chatbots, it is possible to serve thousands of consumers at once, without going through the bottleneck that human operators pose. In this way, we can free ourselves from the limitations of the staff and serve users uninterruptedly 24 hours a day. In addition, many people feel more comfortable with chat-type channels than with telephone support. Higher customization. When it comes to programming chatbots, we can adapt the users' experience according to their preferences or previous actions, giving rise to thousands of possible variants. In this way, we can offer a unique experience to consumers and increase their satisfaction with the brand. More interaction with the client. Chatbots allow opening new channels to interact with customers interactively, going far beyond simple comments or "like". What can artificial intelligence bring to your marketing strategy? Reach a wider audience. AI systems are integrated into ultra-popular platforms and devices, such as instant messaging applications and mobile phones. Therefore, they allow reaching a greater number of consumers and being always available to them. Analyze your customers. Chatbots and other artificial intelligence systems allow ad hoc market research. Understanding customers is essential to offer better products and services, but it is very difficult to get them to devote time and effort to respond to a conventional survey. Instead, chatbots integrate the questions in the conversation naturally and can analyze the answers automatically. Bring fun to your brand. AI systems can respond to users' doubts and offer them relevant information just when they need it. But they can also help them have fun while interacting with your brand. A good example is the case of the US supermarket Whole Foods, which allows users to search recipes on their chatbot through emojis. Get new contacts for your inbound marketing strategy. Artificial intelligence allows us to interact with users in a proactive and integrated way. We can take advantage of this to request data in a non-invasive way and thus increase the opportunities for generating new leads. Then, you can use the information you have about them to offer them more and more personalized information that encourages you to convert.